Our first series of U&R workshops for Registered Nurses was such a success that we are offering these “life changing” seminars to Sign Language Interpreters in honor of our affiliate SignTalk®’s 15 year anniversary! Of all the health and educational consultants we work with, no one is more plugged in then our sign language interpreters. We are excited to offer then these revolutionary techniques for stress additction. 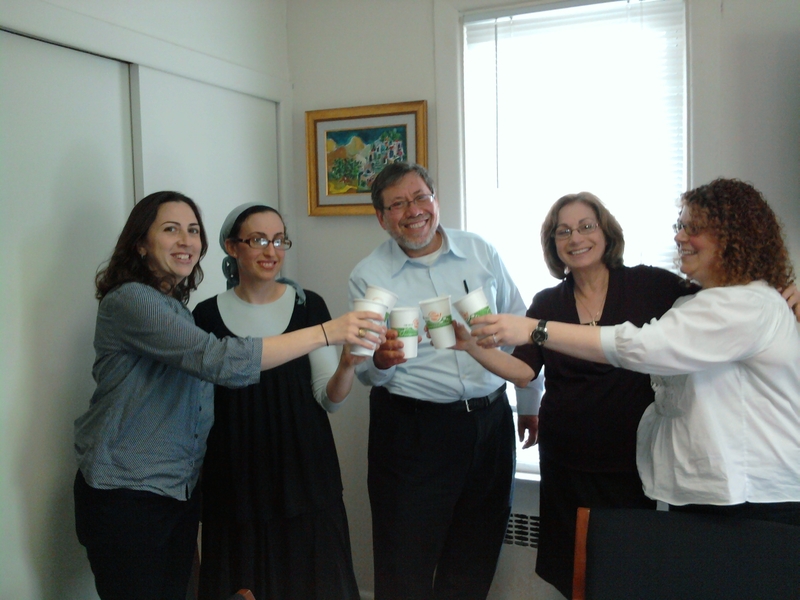 CEO, Dr. Joseph Geliebter, “clinking” new designed paper coffee cups filled with champagne in celebration of the Unplug & Reconnect launch! 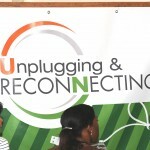 1st Unplugging and Reconnecting Seminar for Nurses was a Success!! 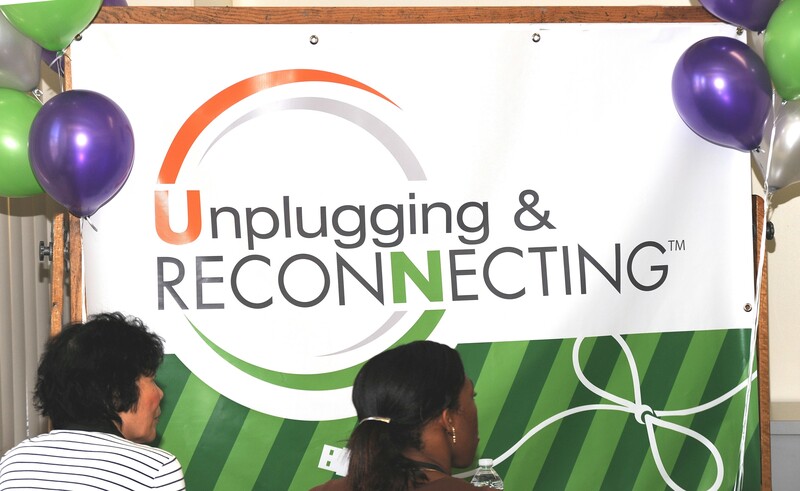 On Tuesday, May 16th, we invited nurse practitioners to join us for our first Unplugging and Reconnecting™ seminar. 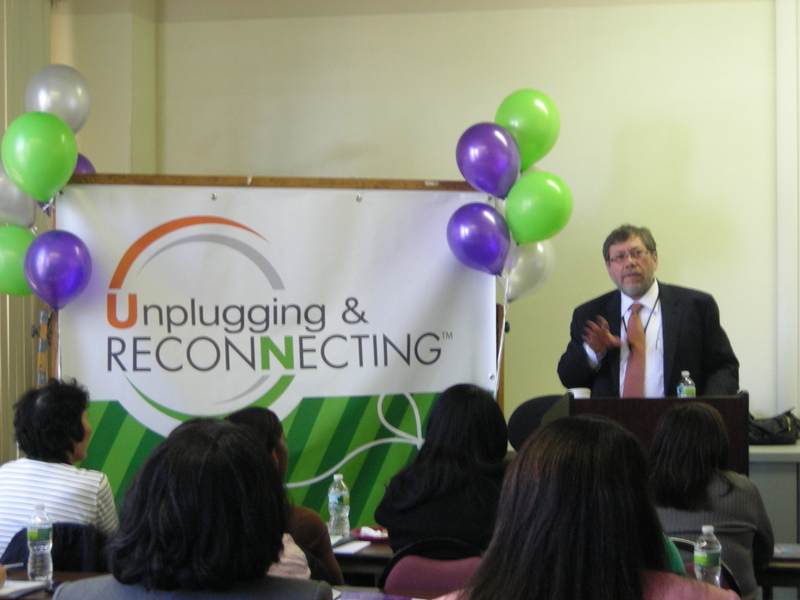 Dr. Joseph Geliebter, CEO of Comprehensive Network®, Inc. and creator of the Unplugging and Reconnecting™ phenomenon, introduced the concept to a full house of health service professionals. We live a life of jarring contradictions. On one hand we are all wired into technology – enabling us to accomplish 24/7 thus becoming crazy busy. On the other hand Nature has hardwired us to live in accordance to a more balanced rhythm.